Yes, I watch Curb Your Enthusiasm, Family Guy, The Office and 30 Rock, and yes, they’re all funny. 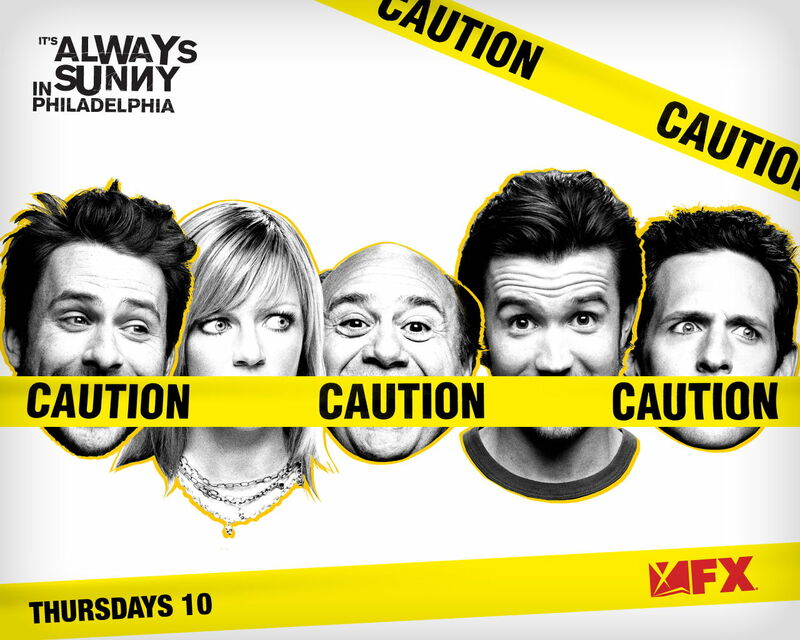 But they don’t make me laugh out loud or force me to pause and rewind the way It’s Always Sunny in Philadelphia does. Sunny is the funniest show on tv, end of story. It airs on the FX network, Thursday nights at 10. Don’t watch it with the kids or with a prudish spouse. The gang bought a foreclosed home at auction recently, only to have attacked the front door with a battering ram later that day without the evicted family having vacated yet. The characters experimented with printing their own money (sound familiar?) and even learned to deal with the new shanty town that took root in front of their bar. Patriarch Frank Reynolds (Danny DeVito – a National Treasure) is despondent after losing his fortune to a ponzi scheme. The gang discusses layoffs and streamlining each other as well as awarding themselves bonuses upon the bankruptcy of their bar. If this stuff sounds like black comedy, it is. In fact it’s pitch black, as regular readers here know is just how I like it. Sunny certainly isn’t the only show to tackle the nation’s economic condition, they’ve just done it the best. Unless your idea of funny is Charlie Sheen getting a loan modification or whatever on the Two and a Half Men show that I can’t believe people watch. Below are the links to catch up on what you’ve been missing. Avoid liquids and foods you can choke on during viewing. thank you for this! whenevr i tell people about this show and how its the funniest thing on tv they look at me like im nuts or somthing!